I am honored to be a part of this and I want to thank you for being a follower of my blog (if you aren't please subscribe) and seeing my projects throughout the year. I was never going to be a paper crafter as I loved to sew since I was a young child. Then Jillian (my daughter and founder of A Jillian Vance Design at age 10) became a card maker and at 11 years old, started designing her own stamps and dies. So I am so blessed to have a talented daughter who FORCED me into the Stamping world and I am SO glad she did! Just 3 short years ago, I didn't even know what a blog was! She started her blog, Princes and the Paper and MADE me start mine and even named it for me! Since then we have gotten pretty good at it! lol! Her A Jillian Vance Design blog is her design team inspiration blog. Check out all the blogs on this Seasons Givings hop, they will each be showing lots of inspiration as well as hosting a giveaway. Just leave a comment AND YOUR EMAIL ADDRESS to be eligible for the drawing, USA residents only. I will be choosing on January 6th. 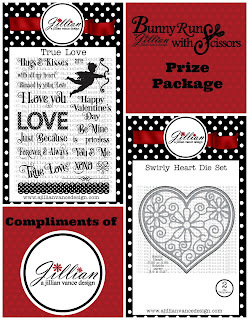 Please enjoy my projects, they are featuring A Jillian Vance Design's new releases which are in stock and shipping!!! Click on the photo to go to the original post. Please visit the following blogs for more inspiration! Fabulous cards full of inspiration. Happy New Year! Wow.....You are one wonderful mom of an amazing young lady! That's a terrific story. That's a lot of following you are asking us to do (and I do not participate in all those social media), but I have jumped through several of the hoops and now am a brand-new follower of yours with BlogLovin (Janis), and brand-new follower of AJVD on Pinterest (Janis), Twitter (Janis@JanisinIdaho), and YouTube (JanisinIdaho). Whew. Thanks for the chance to win the very lovely blog candy! I read your daughters sweet story and am so impressed how you have supported her to help make her dreams come true. Way to go Mom! Wishing you both the best for health and happiness in the New Year! Thanks for an opportunity to win your great prize package. Thanks so much for the chance to win these awesome goodies. Beautiful work. I just "love, love, love" this set! I would love to share this with my friends in our card-making group. Happy New Year Jillian and Bunny!! I love Jillian products! I buy them at Scrapbook Art near Columbus, Ohio. LOVELOVELOVELOVELOVE your butterfly cards and your LOVE card! So gorgeous!!! I really MUST win this prize package!! I am in love with the sentiments and the die is to, well, die for!!!! PLEASE PICK ME!!! What an amazing story about your daughter. She must be a real firecracker! Congratulations to her on all her successes at such a young age!!! It is awesome to see a youngster have so much git up and go!! Very refreshing! I am following you via twitter, pinterest, your blog, facebook and youtube!!! Can't wait to see what 2014 brings!! Happy New Year! My email is macaskillbarbara@yahoo.com just in case I am the lucky winner!! Love your owl cards! Big owl fan! Thanks for the chance to win! Nice hooters ;-). Happy New Year! So glad your daughter gave you a nudge in this direction! She is very talented! Happy New Year!!! Thanks for posting some of your cards from 2013. They are WONDERFUL!! I have had such a good time on this blog hop. SO MUCH talent and wonderful inspiration!! My daughter got me into card making and I'm so glad she did. I come up with the ideas and pass them around so my daughter and her friends can embellish them to their tastes. Aren't daughters wonderful. thanks for sharing. Just found your daughters blog today, Love it!!! Thanks for sharing your story and a chance to win. Your owl cards are simply amazing! I am sooooooooo hooked on owls! The Blog Hop is a wonderful idea. Your cards are adorable and i'm in love with your owl cards! Your giveaway is amazing and thank you for the chance to win. 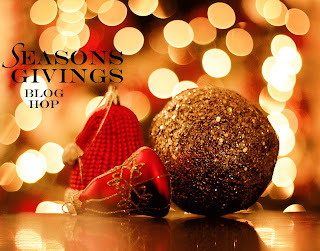 I am so glad I followed this blog hop and found your blog. I never heard of your line before but now am following your blog. Loving the hop! Thanks for the chance to win! Very pretty cards and Loved your inspiring story. Thanks for a chance to win and Happy New Year. Love the cards you have shared especially the owls. 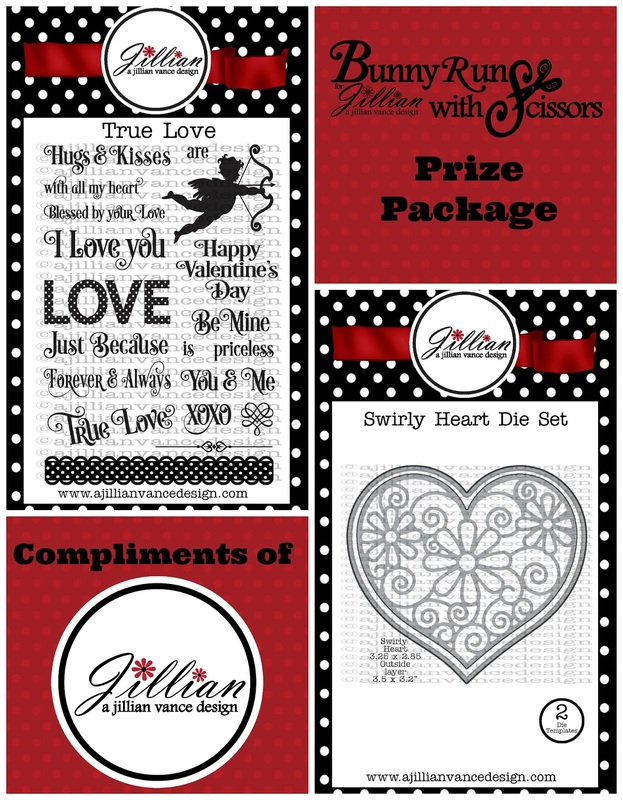 I just ordered my first Jillian Vance Designs, can't wait to receive them. Wishing you a healthy and happy New Year! Very sweet cards. jeandonny2000 at hotmail dot com. Love the cards, thanks for the chance the win. Thanks for sharing it with us though. Happy New Year! Glad you are enjoying blogging. Happy New Year to you and your family. Thanks for the chance. Happy New Year! Wow! Talented daughter! Well..she got it from you! Love your blog! Thanks for the inspiration! Happy New Year! Your artwork is beautiful! Thanks for sharing those wonderful cards. I admire the support you have given Jillian so she could make her dream come true. Wonderful cards...love those little owls!!! Just visited you creative daughters blog, wow... am so impressed!! Happy New Year!! Happy 2014! The year did go fast for me - this hop has been great - thanks for being part of it and sharing! What an AMAZING young lady you have raised. I am nowhere near her age and I'm so impressed with her owning her own business. Love her motivation. Thanks for a chance to win your prize!! Hugs!!! What a talented daughter you have and she must get that from mom! Thanks for a chance to win and have a happy 2014. I just stumbled across this blog hop by accident and I'm so glad I did! Your daughter is amazing, I can't believe what she is doing at such a young age. It must be nice to have her design things; if something is missing in your arsenal, she can fix that. : ) Great bunch of cards and a fabulous prize. Thanks for the chance to win. Drat! I don't think my last comment went through. The gist of it was that your daughter is pretty amazing! What mom doesn't like to hear that, right? Love your cards and thank you for the chance to win. Really enjoyed viewing your cards. Thanks for chance to win your prize. Gorgeous..I love anything with red and black. Happy New Year. Congrats on having such a talented daughter. Thanks for the chance to win. Isn't it great to have something that brings you and your daughter together during those teenage years. Hi Bunny, Thanks for sharing your cards and your story. I love the owl cards. Thanks also for a chance to win. May you be blessed with good health and happiness in 2014. I found Jillian's blog during a different hop. I bet you are one proud Mama! I know I would be!! Good luck in 2014! 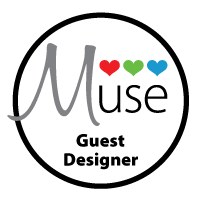 I'll be checking out her other sites & would be thrilled to be a winner here! Awesome cards! I like the bold colors of the heart card. Love your prize package. Happy New Year! What an amazing and inspirational story! You must be so proud of your daughter! Wishing you both nothing but the best in 2014! What a great way to start a new year! Thanks for sharing! Such fun cards and goodies! :) Happy New Year! you and your daughter are super talented! What a great story of how you got started! And beautiful cards! Thanks for sharing! Sharon here again - forgot to put email address - m427srob@aol.com. Happy New Year! Love being introduced to the Jillian Vance line so stamps. Thank you also for the opportunity to win some of them. Wishing you all the best in 2014. I absolutely love your 2014 card. So cool. Thanks for the chance to win. How wonderful that you and your daughter have in common such a great talent. Thanks for the opportunity to win a giveaway! What a treasured bond you have with your daughter Bunny. I saw your daughters things already..I laughed as I remembered cutting out letters and words from magazines and newspapers because I loved the lettering!!! I think we are born artistic and there is no out growing it..it just gets worse. I ended up publishing CD roms with fonts I created myself..why because I didn't like what I found out there! Beautiful projects. I follow you with bloglovin'. Congratulations to you and your talented daughter on the wonderful company and blogs! Yours is a new name for me, but I'm intrigued and in love with these designs! Thanks so much for sharing and for the chance to win! Love these sweet designs and dies! Thanks for the chance to win a fabulous prize! Lovely creations! Thanks for the giveaway and Happy New Year! Love those creations. Thanks for a chance! You have an amazing daughter! You two make a great team! I follow this blog in Bloglovin'. Thank you for the chance to win! Great cards! Thanks for your generous giveaway! Too Too Too Cute! I love your cute little blog. Thank you so much for sharing and the chance! www.loveofcards.blogspot.com Happy New Year! Love your blog-and love that your daughter kicked you into it!! Lol. Sometimes kids make US spread our wings! Loved meeting you and your daughter through this blog! Thanks to all you bloggers who continually offer fresh inspiration to the rest of us. I appreciate all of you. Your work is bold and beautiful! Thank-you for participating in this year's blog hop. May you have continued success in 2014. I'm a new follower and love how talented your daughter is! How fun to be in this creative journey together!! Darling cards, really love the owls!! Thanks for the chance to win!! Love your projects. Happy new year. Thanks for the chance to win. Lovely cards! Thank you so much for the chance to win such a wonderful prize package, and Happy 2014 to you! Your daughter sounds amazing! So glad she got you into paper crafts, your creations are wonderful! Thanks for participating is such a generous and inspiring hop! Happy New Year! You and your daughter have such an inspirational story. I love to know she has succeeded in her goal. Just wanted to stop by and wish you a Happy New Year! Glad to have you and your amazing daughter on the hop! Love your two owl cards!! So cute. Happy New Year! Thanks for the chance to win. You are one blessed mama to have such a talented daughter! Thank you for the chance to win these lovely stamp sets! Thank you for this opportunity to win. Love the owls! Happy New Year! I love all your adorable cards! Your daughter is very talented and I am glad this blog hop opened my eyes to her products. thank you for a great blog hop! love seeing all the new blogs and all the different styles of all the crafters. Great to here about how you became a stamper, what a talented daughter. What an inspiration you and your daughter are to me!!! Wishing you both the best! Thanks for the chance to win! Thanks for sharing with us and best wishes for the new year! jessicakerr1 at yahoo dot com. Love your daughter's creations. I have been following you daughter's work since my lss brought back samples from her first cha!! Love to see your projects!! !